I can't believe my birthday month is coming to close, it's been such a fun July. So busy, and such fun times. 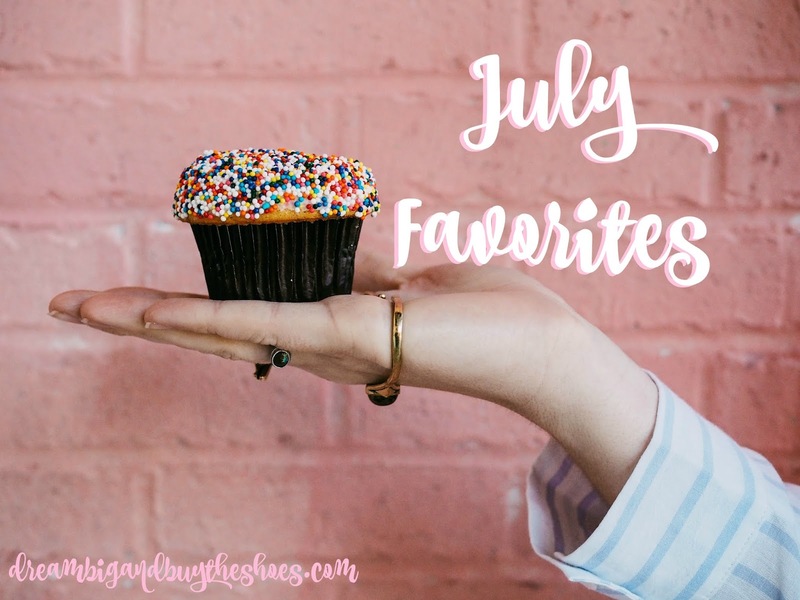 Let's see what I deemed as favorites this July- there are affiliate links in this post. Favorite Moment: Wow- it's hard to pick, we had such a jam packed and FUN month- probably my birthday dinner with my family. Nothing beats when the 4 of us are together. Favorite De-Stresser: I absolutely LOVE all these ideas Lindsay shared on de-stressing. Sometimes you just need to step back, and she described different ways to do it. Favorite Purchase: Since I went a little wild at the #NSale- my one and only Prime Day purchase was this cute t-shirt dress. For $9- the regular price is less than $20 and well worth it. So soft and comfy...I paired it with a light cardigan for work! Favorite Real Life Post: Sometimes Social Media can be overwhelming, but in our influencer and blogger lives it's sometimes necessary. I love Steph's story about how why she got rid of Facebook and what it is doing for her life. Favorite Home Decor: Andrea's new house is seriously gorgeous, just like her. I am obsessed with outdoor living areas and just imagine making one super cozy and enjoying coffee in the morning and some wine at night. I am obsessed with the colors and style- amazing work girlfriend. Serious inspiration! That's it for this month! Any great new recipes or inspirational posts you've seen recently? Share them in the comments. Happy Monday- have a great week friends!